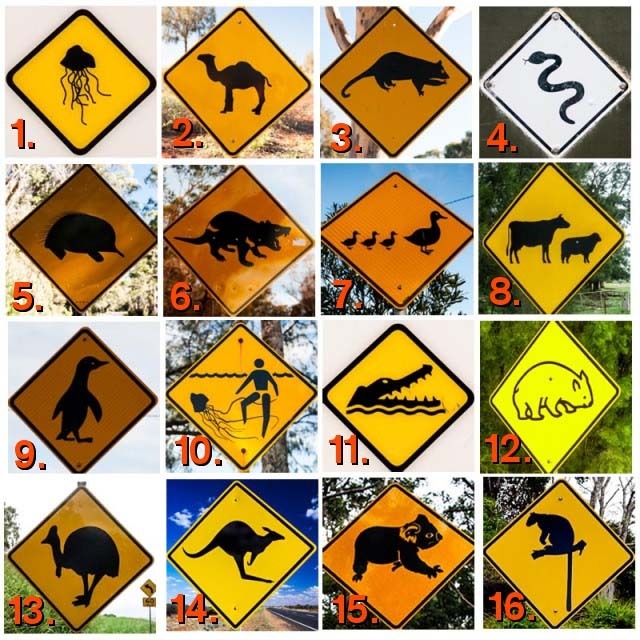 So, last week we tried something different – 16 roads signs with various creatures to look out for or to be aware off. The task was to guess them all. There were a lot of comments and a lot of single tries but only Emily from A Mummy Too attempted to get them all. What / What Am I? Have a lovely weekend everyone! Spring is almost here… I can feel it… and we are already passed January, so 2014 is already whizzing past very fast… I hope it will slow around spring / summer time, so we can enjoy it a bit more, or rather I hope we have a nice summer this year firstly and then time slows down…. we will see…. Anyhow, for now stay warm and have fun in the rain (at least if you are UK based). Oooooh, I didn’t do to badly! 😀 I now need to Google ‘tree kangaroo’. The pic looks like peeled spuds in water? 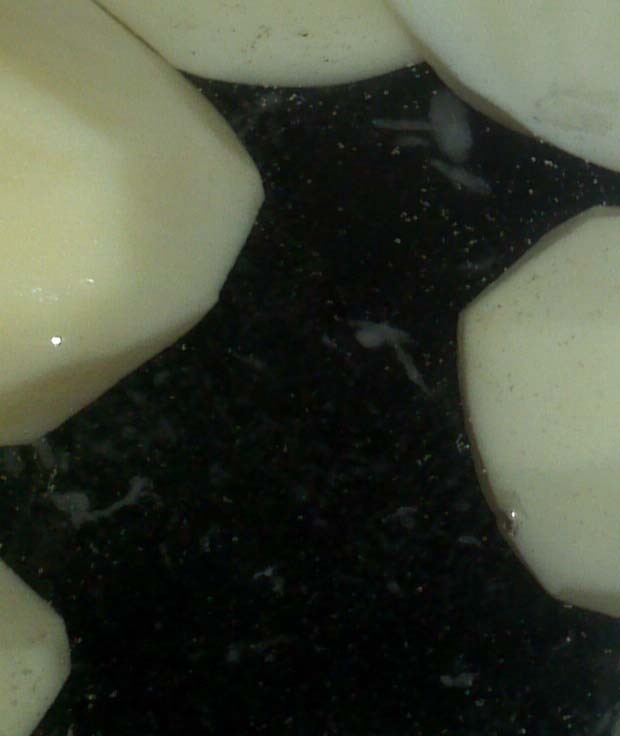 Potatoes boiling in a pan of water? bits of friend egg? i’m stumped. Freshly-peeled spuds is my guess. Without looking at the other guesses, I thought peeled potatoes on a work surface. Brilliant! I got all but 2 – the cassowary and the opossum…although, number 5 looks more like an echidna than an armadillo! I think Emily did amazing! I wouldn’t have got a fraction on them. My first thought on this weeks when I saw the first part was football – now I’m thinking marbled / tiled flooring or work surface perhaps. Potatoes in a saucepan of water! Well I’ve never even heard of an opossum, so I reckon Emily did pretty well! Could the new pic be of a marble contertop, with blobs of icing shapes setting on top?